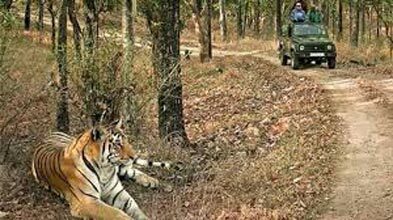 Upon your arrival in Delhi, you will meet our representative/driver at the airport or railway station & drive towards Rishikesh. On arrival , check in at your pre booked hotel. Overnight stay at Rishikesh hotel. After breakfast, drive to Barkot. Upon arrival, check in at your pre booked hotel. Kempty Falls were developed as a tourist destination by a British officer John Mekinan, around 1835. The name Kempty is probably derived from the word 'camp-tea', A stream of water running throughout the year starting from the southwest of village Banglow ki kandi moves northwest and falls from 4,500 ft.
Lakhamandal is an ancient Hindu temple complex, situated in the Jaunsar-Bawar region of Dehradun district in the state of Uttarakhand. The temple is dedicated to lord Shiva.This temple is popular among the Shakti Cult, who believe that a visit to this temple shrine will end their misfortunes. After an early breakfast, drive to Jankichatti via Syanachatti . From Jankichatti we begin our trek to Yamunotri (6 km/3 hrs) to visit the temple of Goddess Yamuna, situated on the bank of the river. You can take a holy dip in the nearby tank filled by hot springs and cook rice in its water, the common rituals performed by the devotees. Near the Surya Kund there is a shila called Divya Shila, which is worshipped before puja is offered to the deity. Devotees prepare rice and potatoes, tied in muslin cloth, to offer at the shrine by dipping them in these hot water springs. Rice so cooked is taken back home as prasadam. People usually have a dip in the Taptkund adjacent to the temple before having a glimpse of the deity. The Taptkund (natural hot sulphur springs) are said to have numerous medicinal properties. Some devotees however venture out to the river below to bath in its icy waters. It is said that Yamuna's brother, Lord Yama (god of death) had promised her that whoever takes a dip in her waters will be spared the excruciating tribulations of hell. The dip in the icy waters releases a sudden surge of energy in the body like that of electricity charging a dead battery. 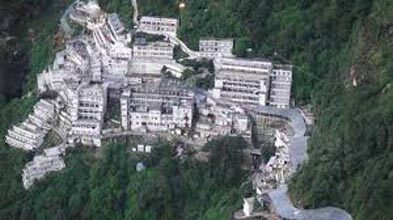 Kharsali is known as the Winter home of Goddess Yamuna when Yamunotri Shrine becomes inaccessible due to heavy snowfall. On either side of the Kharsali village are two temples, both dedicated to Yamuna's brother, Shani. Perched at a height of 7000 ft., one temple is very tall and is shaped like a 5-storey house. Built with stone and wood, this structure is protected from floods and earthquakes by wooden stilts which place it above the danger level. Return to Barkot for overnight stay. After an early breakfast, drive to Harsil - One the most beautiful valleys in the world. Enroute we will stop at Gangnani for hot water spring dip. Upon arrival, check in at your pre booked hotel / camp. Kashi Vishwanath temple is one of the oldest & sacred temple in Uttarkashi, dedicated to Lord Shiva. Famous for its thermal water springs, Gangnani is a perfect place for rejuvenation. The thermal water spring at Gangnani is called Rishikund. Most of the devotees take holy dip in this natural hot water spring before heading towards Gangotri. Return to Harsil for overnight stay. After breakfast, drive to Gangotri (23 Kms/1 hr). On arrival take a holy deep in the River sacred The Ganges, also called Bhagirathi at its origin. Perform pooja and relax in the lovely surrounding. One of the prominent shrines in Gangotri, Gangotri temple is dedicated to Goddess Ganga and is positioned near the sacred stone known as Bhagirath Shila, where it is said that the king Bhagirath paid his homage to Lord Shiva. Kalpeshwar is a Hindu temple dedicated to Lord Shiva located at an elevation of 2,200 m (7,217.8 ft) in the picturesque Urgam valley in the Garhwal region of Uttarakhand state in India. The temple’s ancient legend linked to the Pandavas, heroes of epic Mahabharata eminence is the fifth temple of the Panch Kedars (five temples) of Shiva’s five anatomical divine forms; the other four temples in the order of their worship are Kedarnath, Rudranath, Tungnath and Madhyamaheshwar temples; all in the Kedar Khand region of the Garhwal Himalayas. Mukhba is a small village in the town Harsil, on the banks of river Bhagirathi. It is also known as the Winter Seat of Gangotri when Gangotri shrine becomes inaccessible due to heavy rainfall. After an early breakfast, drive to Guptakashi. Upon arrival, check in at your pre booked camp / hotel. Augustmuni is a small town in the Rudraprayag district of Uttarakhand. The Famous temple of Rishi Augustya is located here. Return to Guptkashi for overnight stay. After breakfast, drive to Phata (12 Kms/01 hrs) to take the helicopter till Kedarnath & visit Kedarnath Temple for Darshan, Aarti & Pooja. After the holy darshan way back to Guptakashi Camps Via Helicopter. It is written in Kedar Khand of Shiva purana that the water of Udar Kund is mixture of all the 5 Oceans and always remain fresh even when kept for many years. The holy water of Udar Kund is used for purification rituals. 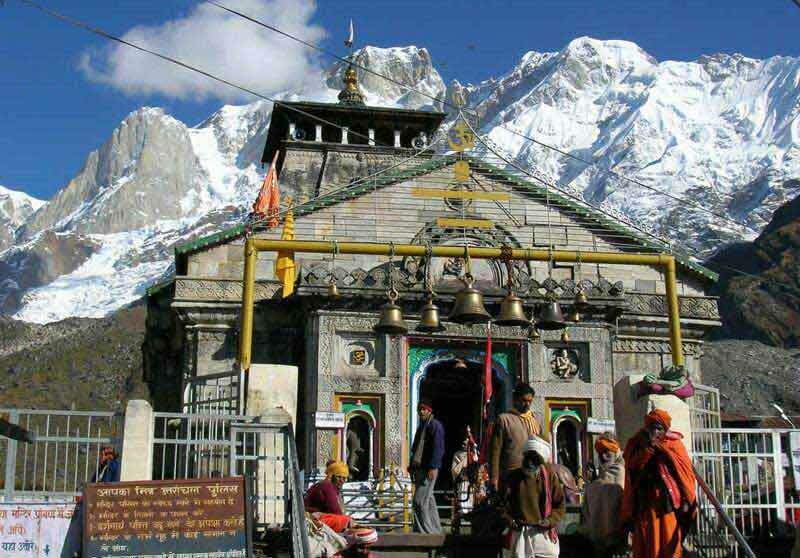 Situated close to the Kedarnath temple complex, this temple also holds much religious significance. Bhairav Nath is considered the guardian deity of Kedarnath temple. After breakfast, drive to Joshimath (170 Kms / 6 hrs), one of the most beautiful sites on the whole trip. Enjoy the beautiful drive through the medicinal forest. Upon arrival check- in at your pre booked hotel / camp. Evening is free for you to explore Joshimath on your own. 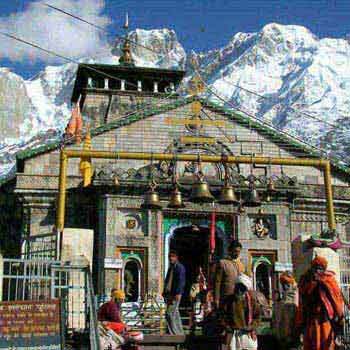 Ukhimath is known as the Winter seat of Kedarnath , when Kedarnath shrine becomes inaccessible due to heavy snowfall. 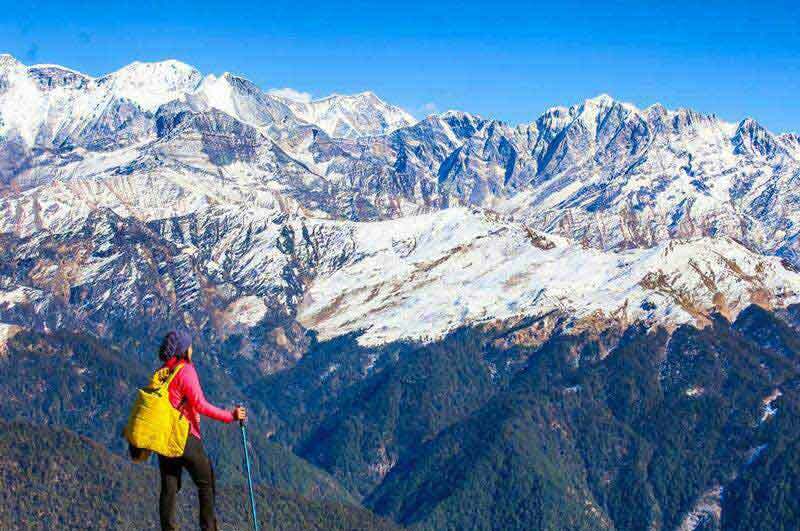 Chopta is also known as Mini Switzerland of Uttarkhand which is still unexplored by travelers.Chopta Hill Station is located at an altitude of 2700 mts, in the Rudraprayag District of Uttarakhand State. 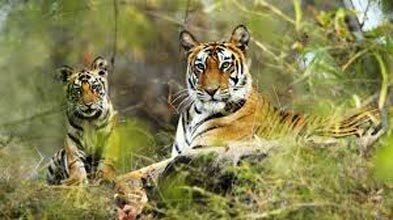 Chopta is surrounded by dense forest, and offers majestic view of Snow Clad Himalayan Ranges and lush green meadows. It is also the starting point of the trek to famous Tungnath Mandir (Panch Kedar Temple) and Chandrashila Summit . Return to Joshimath for overnight stay..
After breakfast, drive to Badrinath. Mana is the last village before the Mana Pass and is 24 kilometers from the border of India and Tibet. The village is at a distance of about 3 km from the Hindu Pilgrimage Badrinath and the two places are culturally connected with each other. Return to Joshimath for overnight stay. Early morning after breakfast, drive to Haridwar. On arrival check in at your pre booked hotel. After breakfast, you will be transferred to New Delhi airport / railway station for your onward journey.